Home › Press and Insight › What’s wrong with the Myers-Briggs personality test? We at Talentspace have long had concerns about the Myers-Briggs Type Indicator (MBTI), which is probably the bestselling personality test around the world. In other words, the Myers-Briggs test is not dissimilar from the kind of fun quiz you get in magazines such as Cosmopolitan or Glamour. Such a quiz might tell you that you’d like to be a singer or an astronaut, a technical specialist or a leader. But it doesn’t tell you whether you would be any good at it – or what path you should take to pursue it. You wouldn’t make business decisions based on a quiz in that kind of magazine would you? Sadly, people do make business decisions all of the time based on the Myers-Briggs test. The Myers-Briggs test is based on the personal reflections of the psychoanalyst Carl Jung from way back in 1921. The thing is: psychologists have moved on considerably in the last century. There are far more robust tests of personality based on rigorous scientific research rather than the musings of one man. The personality questionnaires that we use at Talentspace are all reliable, valid tools based on research. 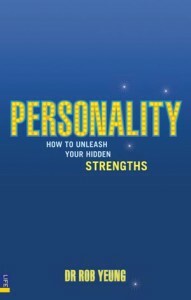 For example, Dr Rob Yeung wrote about one such test in the bestselling book Personality: How to unleash your hidden strengths. For more information about using personality questionnaires to boost team performance, please contact the Talentspace team. The original HBR article is not about personality tests, but can be found here.